Website content that answers questions from potential clients always ranks well in Google search. Ranking in Google search of course is invaluable to businesses and professionals in almost all niches. Today I’m very happy to spending a few moments with Attorney Andy Green to hear first hand from him how his website content contributes to his practice. 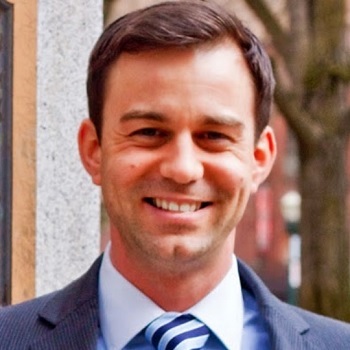 Andy Green is a Portland DUI lawyer that has a great deal of experience in the courtroom. Prior to opening his law practice he worked at the Multnomah County District Attorney’s Office. He is a lifelong Oregon resident that received a communications studies degree from Portland State University. He received his law degree from Lewis and Clark School in Portland, Oregon. Andy also has experience as a criminal defense attorney in Portland, Oregon. You can contact Andy at 503-471-1385. My website, AndyGreenLaw.com, has been through many different iterations. Recently, I decided to leave a legal brand website builder and implemented a WordPress theme with a blog that could be updated frequently. Honestly, this was a very smart move for me as I have quickly moved up in the rankings after publishing content on a consistent basis. WordPress is fantastic management system as publishing content is very easy. This is not necessarily the case with other types of legal websites and legal blogs. My content is now being published and shared around the web which is very good for exposure for my law firm in Portland, Oregon. When I get a phone call people are in a very vulnerable state. They do not want to have a discussion as it relates to how they found my name or my law firm. I have no desire to push them with questions as it is my job to answer their questions. I don’t have the time to sit and research all the new “trends” when it comes to marketing and Internet related strategies. I know that content on my legal website shows up in Google search. The more content I produce the more keyword phrases I can rank for over time. It makes sense that I should do my best to get as much quality content published every single month. As I answered the previous question I stated that I have the desire to have as much quality content published on my website every single month. That said, there simply isn’t enough time in the day to sit down at the computer and type out content. Having copywriters and content writers is a valuable investment but the marketing budget must be allocated in many different areas that do not include only the Internet. In more words or less, I would love to get as much content as feasible. Many of my professional friends see me as an innovator when it comes to “Internet marketing”. After having my WordPress website created, I actively reached out to some of those that understand how and why websites rank in Google search. I think the addition of some key members to my team have greatly helped me not only rank higher in Google search but also create business contacts. I also get some interesting emails and phone calls every month for legal services that are not part of my practice. Ranking in Google search is a very important part of my business. When someone has been arrested or cited for a DUI they need answers quickly. Sometimes their friends or parents call me and sometimes they call me themselves. I feel strongly that people looking for answers are going to go to Google and search. As my legal practice moves forward I see more of an emphasis on ranking in Google search and all search engines. What is the best part about being a DUI attorney? I get to help people. Ultimately, I enjoy helping people when things are not going perfectly. I do not have the easiest job in the world but it is very rewarding when someone gets a second chance.